Mr O has a presence about him, he is a great herdsire. Reflection is a true reflection of her dam. Their coloring and deposition are the same. 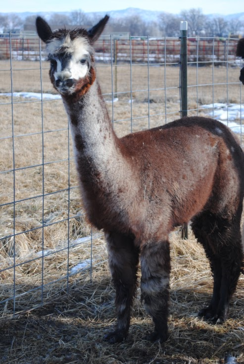 Reflection is a very nice girl, she is a great mom and has plenty of milk for her crias. She has thrown color with both of her babies.